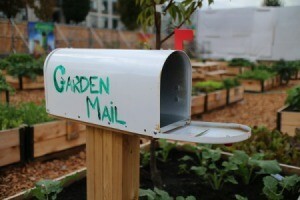 Decorate an old mailbox and create a great place to store your gardening gloves and tools. This is a guide about using a mailbox for storing garden tools. 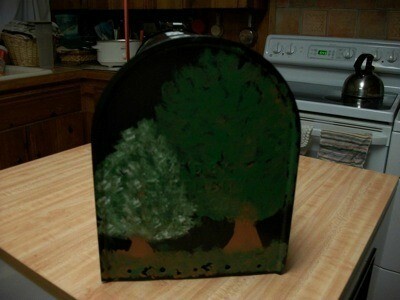 Hand painted decorated mailbox for storing hand garden tools and garden gloves outside. We recently put up a new mailbox and I wanted to recycle the old box. I spray painted the box black. Then I free hand painted flowers, etc. on the box sides, front, and back. 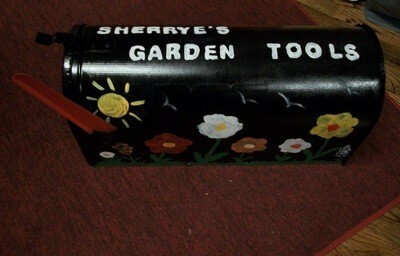 I then stenciled "Sherrye's Garden Tools" on the top. I then sprayed the box with polyethylene to make it weather resistant as it will be sitting on the back porch. I already had all the supplies on hand so it only cost me my time. 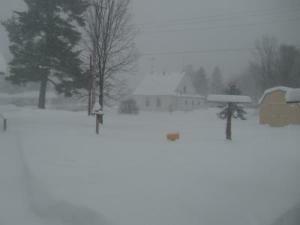 I will put my hand garden tools, etc. and my garden gloves in the box. I think it turned out really cute. It only took me a couple of hours and it was fun. I probably saw this in a magazine, but a good way to use an old mailbox (the long kind that stands on the post at the end of the driveway) is to keep it on a post in your garden, and put your small hand tools, seeds, gloves, etc. inside of it for convenience. 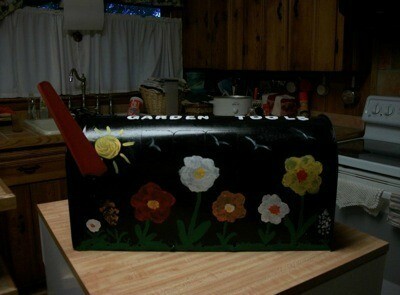 You can repaint the old mailbox with flowers, vines, veggies, whatever. It looks really cute! 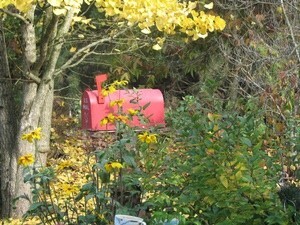 Keep Small Garden Tools Handy... A handy place to store pruning shears and small garden tools is in an old mail box. Just place the mail box on a post in a convenient spot in your yard and place the small tools that you use regularly in it. Many mailboxes will even have a hole for inserting a small padlock. If your doesn&#39;t, just drill your own hole. Paint the mail box and it can be quite attractive.